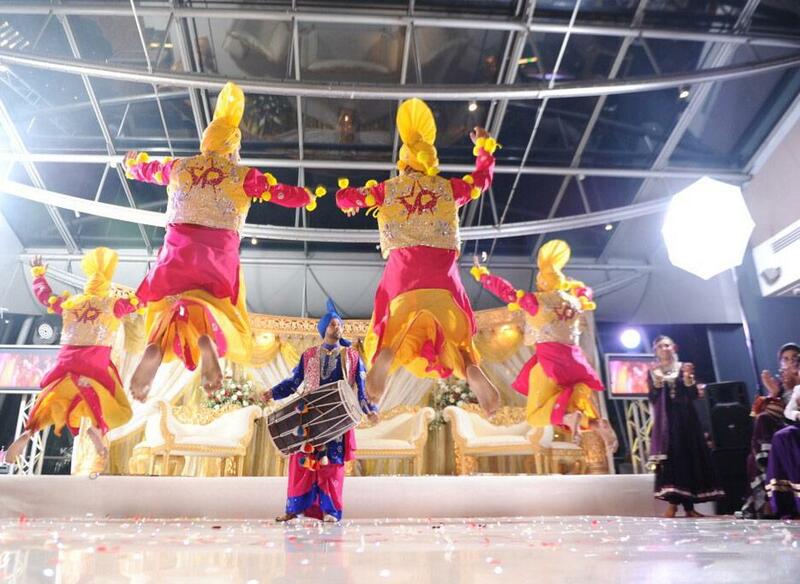 A professional group of Bhangra dancers based in East London. Performing a traditional Punjabi folk dance by the farmers to celebrate the harvest season, in the Northern Indian state of Punjab. 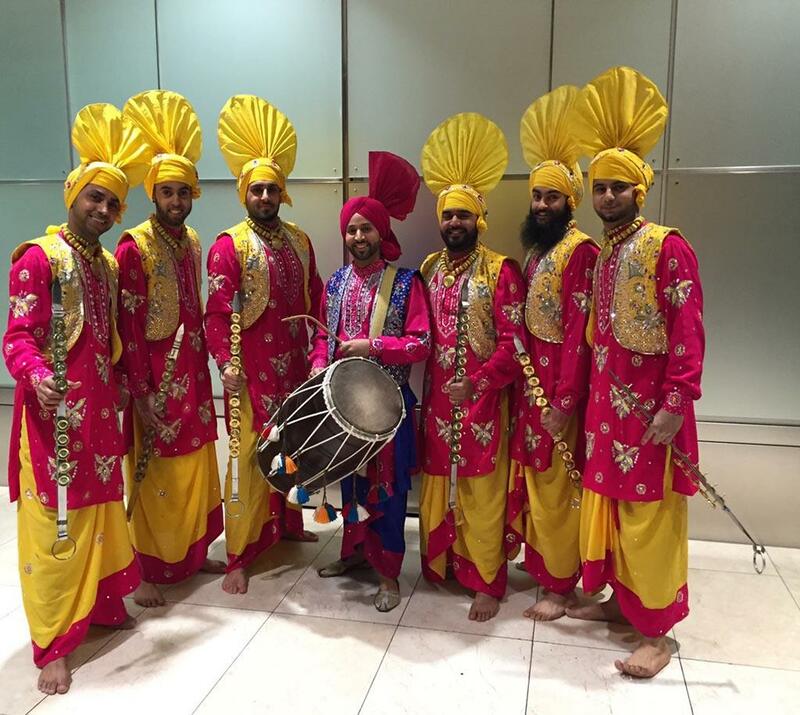 Live singing and live Dhol playing preformed by dancers dressed in colourful traditional costumes. 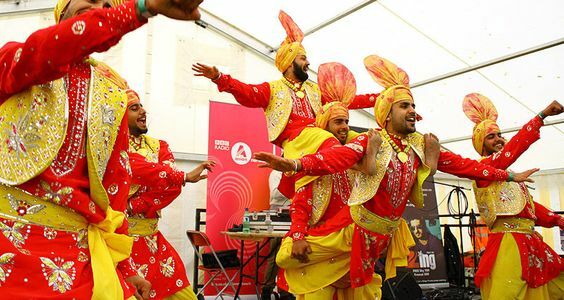 The Bhangra Dancers have been actively involved in performing live on stage all over the U.K. 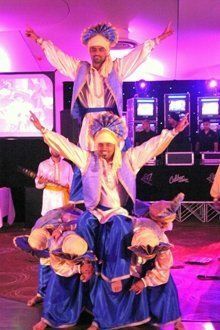 Available as a troupe of 4 Bhangra Dancers and 1 dohl drummer for 1 or 2 x 30 minute sets. 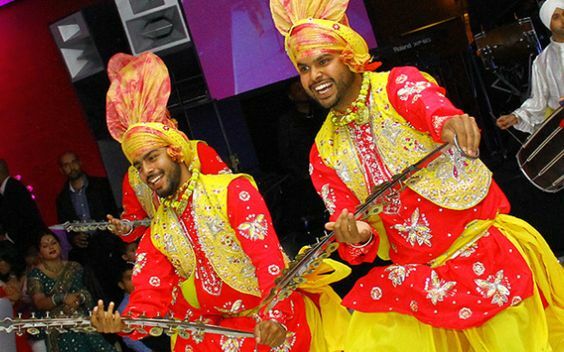 The Bhangra Dancers can also provide an Indian theme package including turban/Indian head wear for guests available on request tied by an experienced group member, worn at many Indian special occasions. As well as this they can provide professional DJ’s and road shows for all occasions specialising in all fields of music. 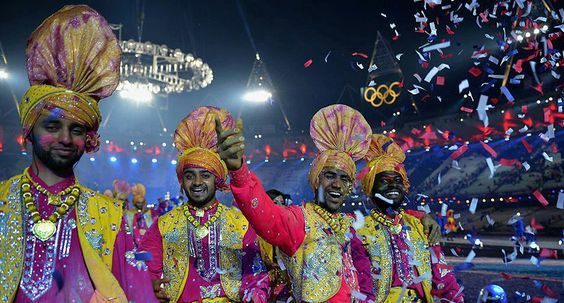 Entertainment available at request includes live dhol players (traditional drummers), lightshows, pyrotechnics, video wall screens, confetti bombs etc. 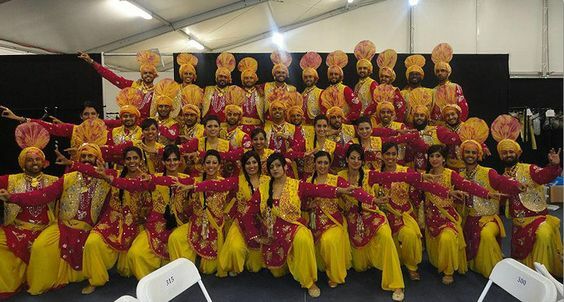 The Punjabi Dance Troupe were simply outstanding. Having never witnessed anything like that before myself, I was wide-eyed and completely enthralled throughout. Their energy and enthusiasm set the level for the rest of the evening and I can’t thank them enough for getting the dancing started – our staff were literally running on to the dance floor to join them! Your Punjabi guys were great last nice and nice blokes as well! The guys were great tonight – very enjoyable and the client liked them.